A veneer is a thin shell of porcelain or plastic that is bonded to a tooth to improve its colour and shape. A veneer usually covers only the front and top of a tooth. Repair broken or chipped teeth. 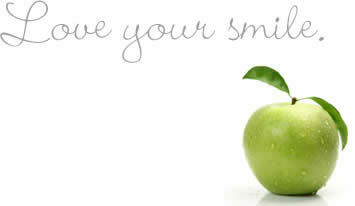 Whiten dark, yellow, permanently-stained or discoloured teeth. It takes two or more appointments to restore teeth with veneers. During the first appointment, we shape and roughen the teeth. We then take impressions of your teeth, which we use to make precise working models of your mouth. It's on these models that we artistically craft veneers to fit the prepared teeth. During the second appointment we clean and polish the prepared teeth. Then we use an adhesive to bond the veneers to the teeth. A harmless, high-intensity light hardens the adhesive. Once in place, veneers virtually become part of the teeth. You can use them like you would your own teeth, because the bond is extremely strong. The final result is beautiful and natural looking teeth.